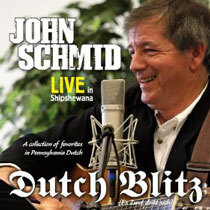 John Schmid is an Amish Country Legend who loves to sing Johnny Cash and Pennsylvania Dutch songs. John is well-known in Amish and Mennonite circles all over the country for his casual, country folk style music. In addition to music, John has a passion for prison ministry and for people to know the Lord. MORE DETAILS. Books about Amish, Mennonites, and other Anabaptists are produced by The Young Center Books in Anabaptist and Pietist Studies. These excellent works are published by Johns Hopkins University Press in Baltimore, Maryland. Johns Hopkins University Press, the oldest university press in the nation, was founded in 1878 and is one of the world's largest and most respected university presses. Seems like there’s an interest in the Amish like we've never seen before. There are books, novels, movies, documentaries, musicals, and reality tv-shows. On this site you will find books, products, and information about the Amish.